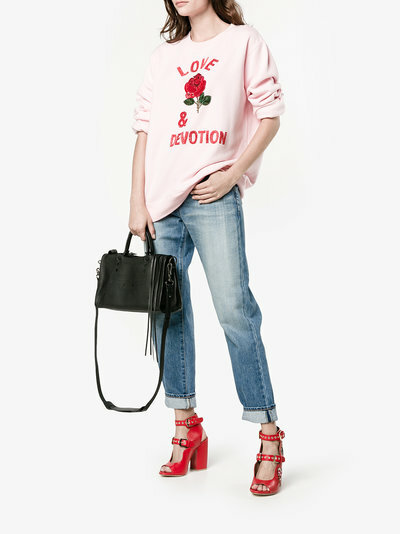 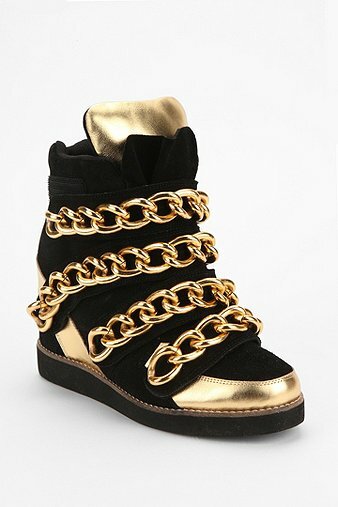 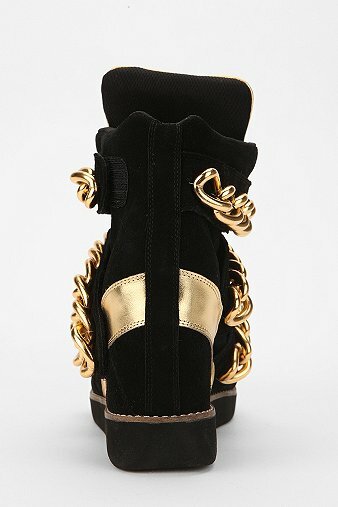 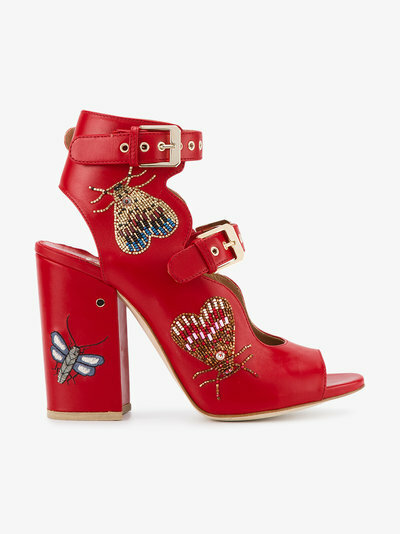 Jeffrey Campbell two-tone high-top sneaker with metallic leather paneling and oversized chain link embellishments. 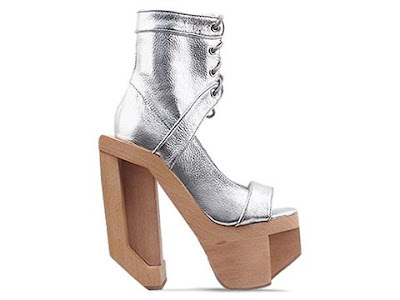 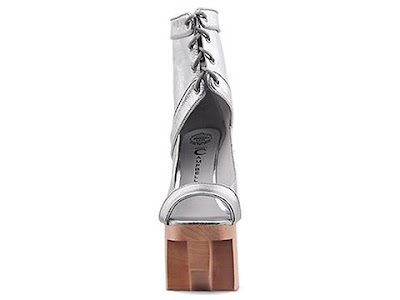 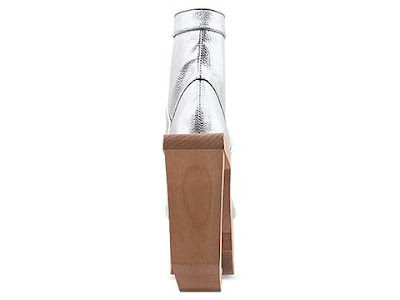 Jeffrey Campbell Futura platforms in silver leather with a 6 1/2" heel and 2 3/4" platform. 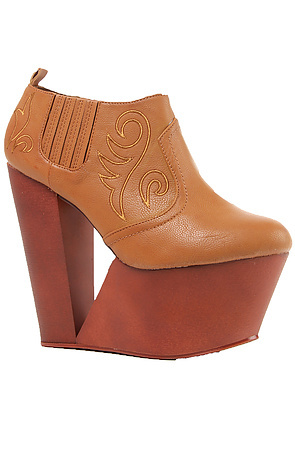 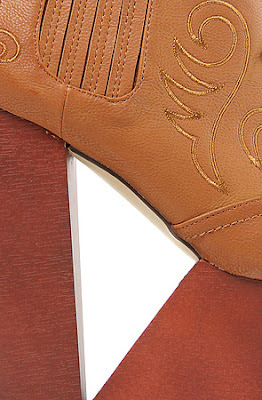 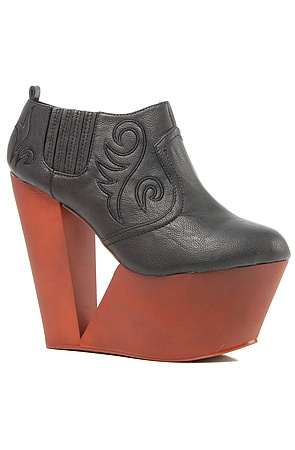 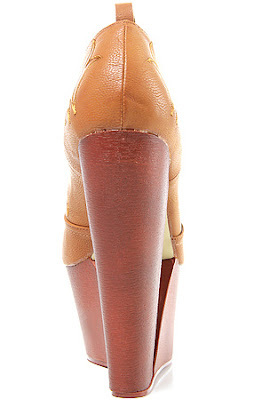 Sole Boutique cutout faux wood wedge heel in camel.